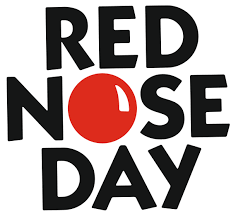 We are encouraging our children (and staff) to join in the spirit of the day by wearing something red or a funny accessory with their school uniform. This could include a red nose or a silly hair style, slippers instead of pumps or a funny tie, a red T-shirt under their jumper instead of their school shirt or face paints etc. Please donate 50p-£1 to join in. We are having bun sale on Friday 13th March to raise money for Comic Relief. All buns will be 20p and will be on sale during morning and afternoon playtimes.